A rock'n'roll idol is drafted into the wrong regiment. Fred, Tim and Deirdre plan a fun weekend break on the coast. What they didn't make allowances for was the company of Deirdre's mother who insists on coming along as her daughter's chaperone. From what I can tell, this film is barely known at all in the USA, where the title is spelled IDOL on Parade. I just caught it on AMC, having been intrigued by the pairing of Anthony Newley with American character actor William Bendix (who uses an Irish accent in his role as a drill sergeant). 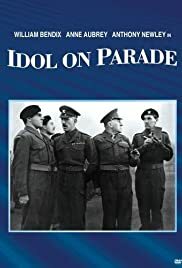 IDLE ON PARADE was released a year BEFORE "Bye Bye Birdie" hit Broadway, and starts with the same basic premise: a teenage pop idol gets drafted. "Birdie" focuses on what happens BEFORE the idol's enlistment, while "Idle" is about his experiences in the service. The fairly predictable plot surrounds Newley with stereotyped military characters, and a love interest (a girl who is of course the daughter of the C.O.). Conflicts arise when his agent (James) tries to spring him out of camp to fulfil singing commitments. One such gig ends up in a brawl; probably the funniest scene in the picture. Newley was too old for this role; he looks and sounds like a lounge singer rather than a teen heartthrob (remember: the Beatles were already together when this film was made). 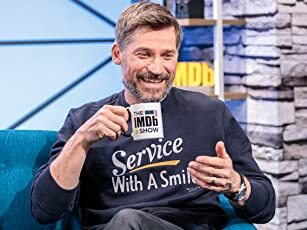 But he has charisma and good chemistry with the rest of the cast. The songs are hokey Brit attempts to mimic rockabilly music, but when the lyrics parody military life, they're funny enough. What makes IDLE really click is the supporting cast, including Bendix, hatchet-faced Lionel Jeffries, and comic stand-bys Sid James and Dilys Laye. There are many funnier military spoofs, and many better musicals, but IDLE ON PARADE is a pleasant enough diversion to keep you from going AWOL.